A two bedroom, two bath flat with a rustic but modern feel. 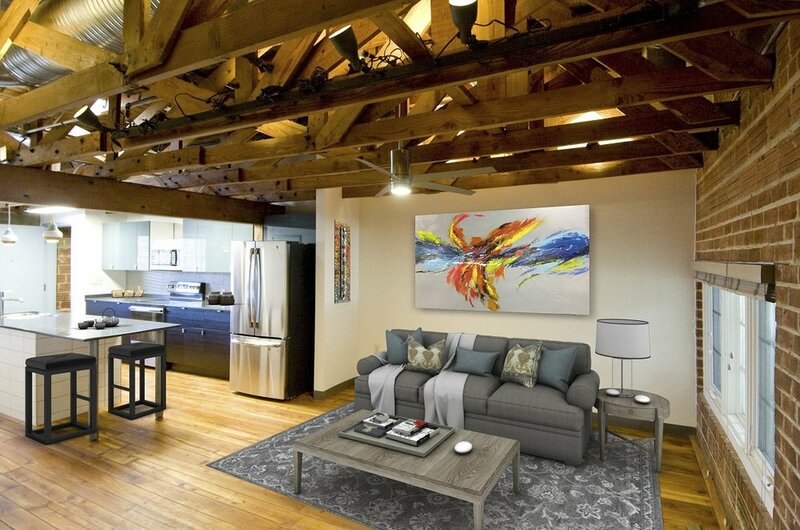 This cozy two bedroom, two bathroom unit features beautiful wood floors and the original exposed wooden trusses. The original brick walls add an extra dash of personality to this fun living space. The unit also features plenty of windows, great natural light, and views of downtown Amarillo.